To install Fastlane we need to have XCode and homebrew installed. Navigate to project’s directory and run. The installed Fastlane will generate a basic configuration and fetch existing metadata from iTunes Connect if there is one. As a result, ./fastlane directory with an Appfile and Fastfile will be created. We will cover Fastfile later. We created a new application. It’s time to deal with certificates and the provisioning of profiles. Fastlane Match allows you to sync certificates and provision profiles across a team using a private git repository. First of all, Fastlane Match creates a separate private git repository where all certificates and provisioning profiles will be stored. For convenience, I suggest using a separate branch for each of your applications. Is this secure? Run the following command. It will create a match configuration file — Matchfile in ./fastlane directory. 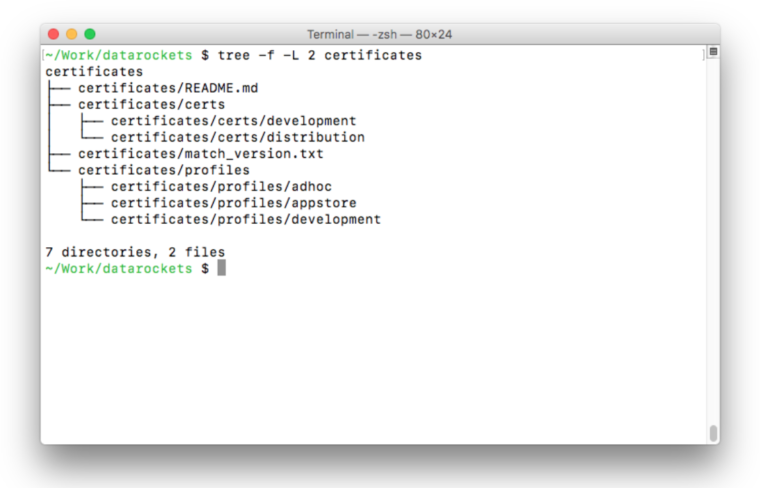 Generate certificates and provisioning profiles using one of the following commands. Now, go to XCode and select the newly created profiles in the signing section. Time to build the app! Fastlane Gym allows you to generate a signed iOS app. The following command will create a configuration file — Gymfile in ./fastlane directory. To submit our app for review, we need to have at least one screenshot per localization, according to guidelines. It’s possible to use the highest resolution screenshot for each device type. Taking all these screenshots can be a tedious and time-consuming task, especially for numerous supported languages. Fastlane Snapshot allows automating this task. The following command will create a configuration file — Snapfile in ./fastlane directory. To run Fastlane Snapshot create a simple UI test, which will be run to take the desired screenshot. Also, you need to add the SnapshotHelper.swift file generated by Fastlane Snapshot init to your UI test target. Now, fill in all required metadata and upload it along with screenshots and app binary to iTunes Connect. To do so, use Fastlane Deliver. Replace app metadata in Deliverfile or in separate .txt files in the ./fastlane/metadata directory. The following command will create a configuration file — Deliverfile in ./fastlane directory. notes: "Some note for reviewers"
'ru' => "some, key, word"
In the config file, we point to the rating_config.json file which we use to calculate app rating in iTunes Connect. Every category is scored from 0 to 2. This step can take a while. Before submitting, the Preview.html file with all app metadata and screenshots will be generated. You can check if everything is correct. Above, we used every Fastlane tool as a separate command. Although this is not the worst option, we can simplify it with one more config file — Fastfile. Fastfile is a kind of top-level config file where you can define lanes for different tasks. desc "Submit a new build to AppStore"
"com.datarockets.CoolApp" => "match AppStore com.datarockets.CoolApp"
desc "Post a message to slack channel"
Fastlane is a great tool to help add more automation to the development process and make app development fun again. Follow Pavel on Medium to be the first to read his articles.